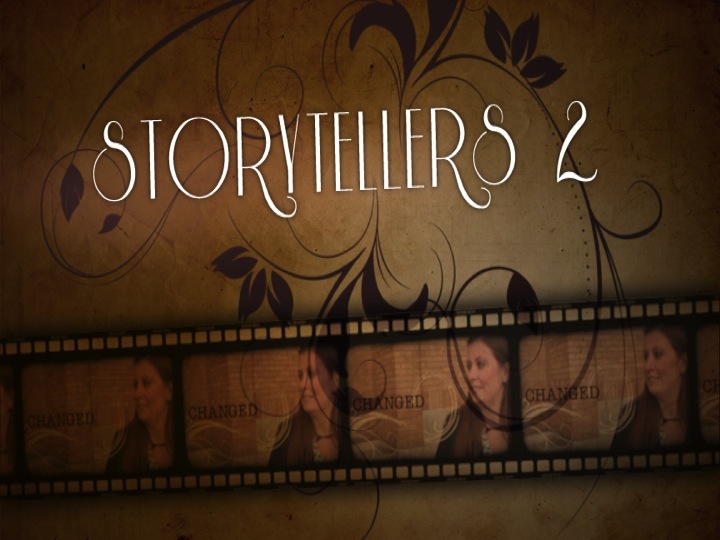 The past several weeks at Element Church, we have been immersed in the "Storytellers" Series, and we have been hearing stories that have been incredibly inspiring. The stories have told of the "highs & lows" of life, and as each person has shared, it has been clear that what has brought them through each situation has been their relationship with a God who loves them. As each person has shared, we have highlighted a different discipline that strong Christ-followers need to have invested in their life. The themes, and some of the teaching and inspiration has come from a book called, "Celebration of Discipline" by Richard J. Foster. If you are interested in diving in deeper into this study, let me encourage you to order this book. Some of the best prices on the book that I have found have been at Amazon.com. This Sunday at Element Church, we will be continuing this series by hearing some brief stories of our baptism candidates. Baptism Sunday is one of the absolute BEST Sundays of the year, and I PROMISE...you will not want to miss it! Right now, we have 4 people signed-up for baptism, but if you are interested in joining them and want the world to know what a change God has made in you, it is not too late! Send me a quick email at richj@theelementchurch.com and I will get you all of the info you need. Looking forward to a GREAT SUNDAY with you all! I love that on the opening track, the band declares their life's goal of not waiting for the afterlife to begin living! What a great thing to remember as this day begins, that TODAY, RIGHT NOW is the time to make up your mind about eternity. Quit living your life as though you have the rest of your days to decide to make that choice. Remember how precious every breath of this life really is, and the CHOOSE to live it to the fullest FOR GOD! 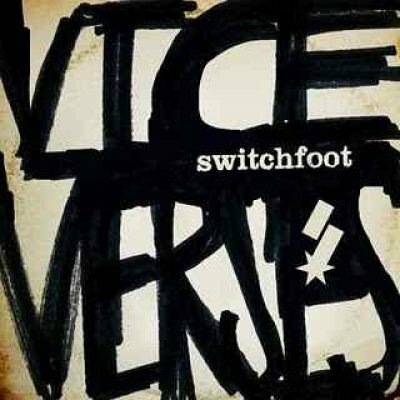 The other thought I had was that at this point in their career, Switchfoot has the attention of the world any time they release a recording. As Christians who perform music, they could just make music that speaks to life, love, and daily struggles and just go soft on the personal decisions they have made to follow Jesus. BUT THEY DIDN'T! The album is blatantly full of their faith and I personally applaud that decision to speak boldly! This is definitely a recording to add to your collection, but more than that, PRAY for Switchfoot as they tour, and pray that God will give them great influence as they speak during interviews. Pray that their music will have great influence on our culture as people, Christ-followers & others, check out their sound and download such a positive message. Oh yeah...one more thing I almost neglected to mention. The music definitely ROCKS! To be honest with you, most movies that I have see that were produced by Christian companies have left me feeling as though they were pretty lame. 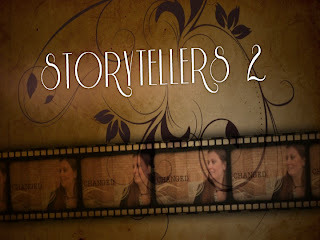 While I appreciate the efforts of the writers to put together a story that is compelling, as well as full of the hope of the Gospel, the movies usually come up pretty short either in the storyline or the production value. Therefore, most of them have been somewhat hard to really feel good about inviting friends to who don't already share my beliefs as a Christ-follower. The movie I want to tell you about right now, however, breaks through that mold. 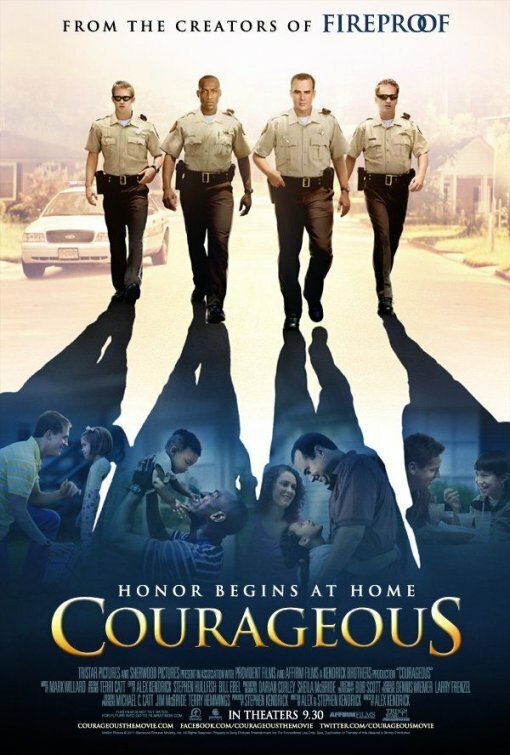 "Courageous", which opens nationwide in theaters this weekend, is a movie I intend on promoting as greatly as I am able. Sure, there are a couple of moments where I wish the story was told differently, but overall the story is engaging, exciting, and a huge leap forward for movies with a Christ-centered message. I saw the movie at an early screening, and everyone in the room had their eyes glued to the screen for the duration of the film. 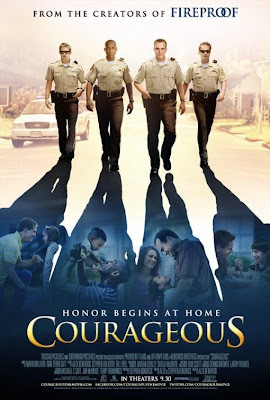 Although the film sports a PG-13 rating, mainly for scenes of police violence, I had no issue at all having my 10 year-old & 16 year-old daughters attend the screening with me. The violence was not graphic, and did seem that it was necessary to tell the story. However it seemed no worse than many of the police dramas on network television. Lastly, I want to encourage you to go because as most of the readers of my blog would agree, we need more quality, family-friendly films to choose from in the future. Hollywood is listening to communities of faith, and the more that we continue to affirm their decision to produce and distribute family-friendly films like this, the more they will produce. If you are interested in going to the movie this Sunday night, some people from Element Church will be going to the 7:30 PM showing at Lowe's AMC at the Waterfront on Sunday, October 2. Let me know via email (richj@theelementchurch.com) if you're interested in joining us! Yesterday at Element Church we talked a lot about friendship, about choosing the right friends, as well as being a great friend to others. We also said that one of the characteristics of a great friend is that they recognize the spiritual gifts that you have, and that they validate those gifts. In an effort to help many of you at Element Church who are interested in being used by God, but are yet unaware of how God has gifted you, I promised to post a link to a resource that will help you in your discovery process. After you take the test, I would like to encourage you to share them with us, so we can help you to discover a place that you could be involved at Element Church or wherever God wants to use you. You can print off the test results and share them with us when you come to church, or you can save them as a .pdf file and email them to us. Either way, we would LOVE to help you find a place of serving others and we would love to encourage you to grow in the areas God has gifted you! After you take the test, email the results to mikey@theelementchurch.com or show a copy of them to Mike Yusko on Sunday. 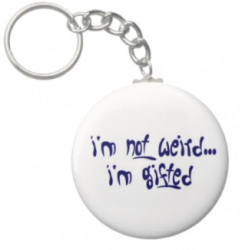 Looking forward to learning about how YOU are GIFTED!!! 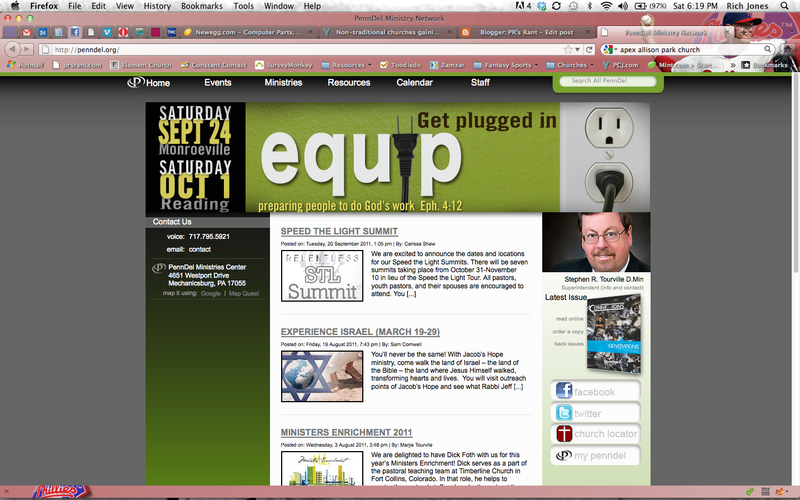 If you were in my sessions at the Equip Conference on Saturday in Monroeville, I promised in the youth seminars to post some youth ministry tools on this site. Unfortunately, I was unable to find a way to upload them to this blog page because this blog doesn't have the ability to host the files. So, if you are interested in the resources, simply email me here: richj@theelementchurch.com, I will send you a folder containing all of the files. Thanks for checking in, and let me know if I can ever do anything to help you as you minister to students! Please check back tomorrow or Monday for the information I promised at the Equip Conference today. I do not have the time to post today, but I will get the info & downloads to you asap. Thanks! One of the things I love the most is when you can see a life that has been completely changed by God. Over the past two years, this is something that I have watched happen countless times in the lives of the people at Element Church. How awesome it is that God gives us the opportunity to be used in HIS work! It is not something that we can ever take credit for, but the credit all goes back to Him. It is cool, however, when God gives us a part in the grand performance that he plays out in the lives of others. About a year ago, Patty came to Element Church one Sunday morning. She had reluctantly poked her head in the door, hoping to see what it was like, but was caught peeking by one of our greeting team, Fran. Fran happened to know Patty from when they had worked together at a local restaurant, and welcomed Patty into the building. Patty hesitantly stayed, and that morning she encountered the love and forgiveness of God. Many others that morning reached out to make Patty feel welcome, and after the service, Patty shared with me her struggle and addiction to heroin. We talked about some options to help her break free from the addiction, and Patty said she would think about entering the Women's Home at Pittsburgh City Outreach. I called that day to see if there might be availability for Patty. Pastor Brian Bolt at PCO was able to find a bed for her, and God used PCO and all of the great people at the Women's home to transform her life into a miracle. I'm not much of a gambler, but it's hard not to catch on with some of the terms that people who are into the poker craze these days. The term, "ALL IN" is something we hear all the time. People say it in relation to all sorts of areas, but they use it most often when they are describing how important something in their lives is. They use it to speak of their complete commitment to some action or ideal. Usually when someone goes "ALL IN" in playing poker, they are so certain that their hand will win, that they are willing to risk everything for the big win in one shot. They place their cards face-down on the table, and push all of their chips into the middle of the table in an all-or-nothing move to gain all, and in some cases to win the game. It's the ultimate move for people with a great opportunity. Is there ANYTHING in life worth being more "ALL IN" about than the opportunity to introduce your friends to God? I think that sometimes we over-emphasize the fear associated with taking the risk involved in asking someone to come to church with you, or even bringing up matters of faith. Sure, they might say no when you ask them, but really...is that the worst thing that could happen? Not to minimize the anxiety you might feel, but is it really worth it when you consider the benefits of stepping out and taking the risk of inviting someone this Sunday? Think about what a great experience you have had in life since turning your life over to God. Do you remember how incredibly freeing that very first moment was when you asked Jesus to forgive your sins? Do you remember giving all of the guilt of your past to Him, and walking out of church (or wherever you were that day) knowing that your past mistakes were just that...in the past? Isn't it amazing to know that since you have connected to God that you have a family of people who will stand with you in the hard times? Can't you think of at least one person in your life that needs to know and feel that way, too? Then I have an opportunity for you that you just CAN NOT PASS UP! This Sunday, almost everyone is thinking about going to church. It's true. They might not actually go, but almost everyone is thinking about it. They usually think about it, but then decide not to go, because of one reason or another. They might not want to risk going and being ignored at the church they have visited before. They might not want to deal with the guilt they feel. They might not even want to go because the last time they went to church they were so incredibly bored, they never want to sit through that again! Whatever the case, though, they ARE thinking about it. This is where our opportunity lies. 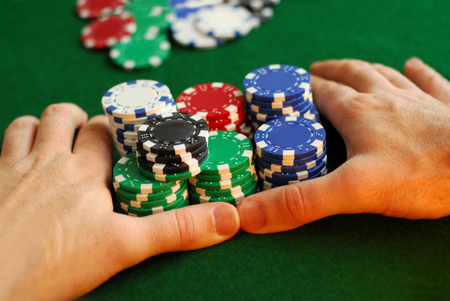 What if you and I were to take our hand and put it onto the table, and gather all of our chips, and slowly push them to the center of the table in an action of going "ALL IN" with our attempts at inviting people to Element Church this Sunday? Could you imagine what might happen? Could you imagine that neighbor of yours starting a new life with God? Could you imagine your husband, son, aunt or other family member finally finding the peace that they have been searching for? Could you see your boss at work or another coworker actually begin to change as they begin to live their lives in a God-honoring way, all because you went "ALL IN" and invited them to church on Easter 2011? It's going to happen like that for people who take the risk and invite people this Sunday. I promise you this...church this Sunday is going to be a SURE THING. We work hard every week to have an engaging program to help you connect with and grow toward God. But THIS SUNDAY, Easter Sunday, will have an incredible impact on all who attend. If you go "ALL IN" in getting people to church, both you and they will not be disappointed. We WILL see the miracle of people coming to Jesus. We WILL experience the power & presence of Jesus, not in a "weird" way, but in a very REAL & down-to-earth way that we always do at Element Church. This Sunday is going to be AWESOME. So...will you join me? Will you lay down your hand? Will you push the chips into the center of the table? Will you go all in & invite EVERYONE you see to Element Church this Sunday? I'm doing it. I'm dialing my friend Mark right now. (412) 951-XXXX. What can I say? I love God, I love my family, and I love life! 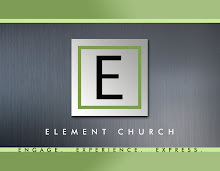 I am the lead pastor of Element Church in the Millvale area of Pittsburgh! 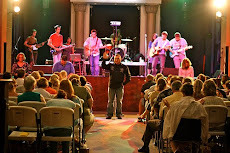 Check us out: www.TheElementChurch.com I love serving God and helping people. life is a simple thing.